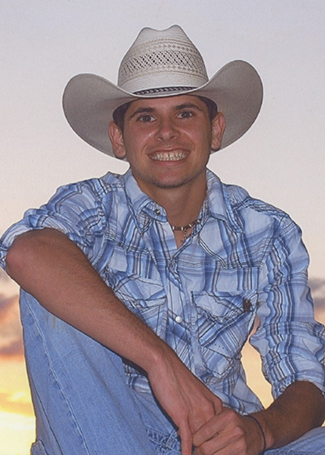 Tyler Ray Phillips, 24, of China, died Saturday, April 6, 2019. He was born on August 30, 1994, to Lucinda Hargrave and Terry Ray Phillips. Tyler was a lineman with Entergy. He is survived by his parents, Cindy and Terry Phillips, of China; sister, Samantha Burleson and her husband, Matthew; and nephew, Bryson Burleson, of Nome; best friend, Chase Carr, of China; aunt, Judy Hargrave; uncle, Minus Hargrave; and aunt, April Phillips, all of Beaumont; uncle, Greg Gilcrease, of Groves; cousins, Cody Hargrave and his wife, Sundi, of Sulphur, Springs, Texas; Courtney Hargrave and Colby Hargrave, both of Beaumont; Dillon Gilcrease, of Groves; Sarah Gilcrease, of Beaumont; and Gabby Hargrave, of Sour Lake; and grandparents, Pauline Phillips, of Winnie and Vernie Hargrave, of Beaumont. A gathering of Tyler’s family and friends will begin at 1:00 p.m. with his memorial service to follow at 2:00 p.m., Sunday, April 14, 2019, at Broussard’s, 1605 North Major Drive, Beaumont. A private committal was held at Broussard’s Crematorium, Beaumont. In lieu of flowers, memorial contributions may be made to Fallen Lineman’s Foundation, P.O. Box 634, Cary, North Carolina 27512. Dear Phillips Family........ We are devastated at the loss of this wonderful person. He has been a part of our family since he was in grade school when he and Jared began their friendship back in the days of mudding. He spent many of days with us and a lot of weekends just hanging out. We always loved having him around. Our family will miss him so much. God bless your family. Tyler will forever live in our hearts and memories. We are so very sorry to hear of the loss of Tyler. We can only imagine the heaviness your hearts must feel. Please know our deepest thought and prayers are with you at this difficult time. May our Heavenly Father shed His Light upon you all to give you strength in the days to come.